• 1st You will have to go a long way to find a more intimidating opening tee shot, with water hazards straight ahead and to the left and out of bounds on the right. 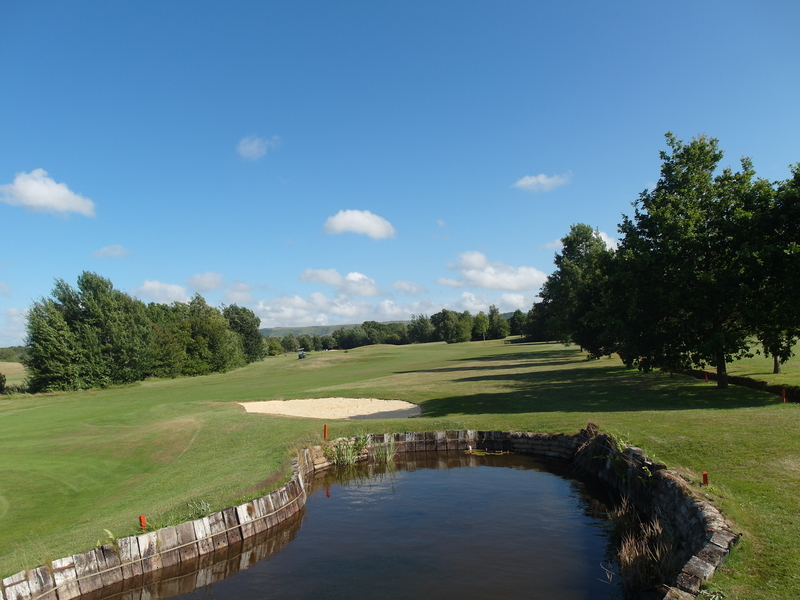 Having carefully negotiated the tee shot, you are faced with a challenging approach shot due to strategically placed bunkers, a new green side pond and a heavily contoured green. • 9th A superbly executed long drive to the green will be rewarded but there are severe penalties if you fail. There are many ways to play the hole, with water to be negotiated off the tee and off your second shot. A precision iron shot is required to set up a birdie chance. • 11th Of all the holes on the course, this par 5 has probably dashed more hopes in the monthly medal than any other. With a sharp dogleg to the right, two carries over water and out of bounds hugging the hole tightly all the way, most are happy to leave the green with their scorecard still intact. • 17th Alterations to the water hazard in front of the green means that a precision iron shot is needed to create a birdie putt, with certain disaster penalising a wayward shot.